The treasure stories articles on this page have been passed down through the years. Some of them may be myths, and some of them could be real. Hundreds of treasures have been found by exploring in more detail stories just like these. 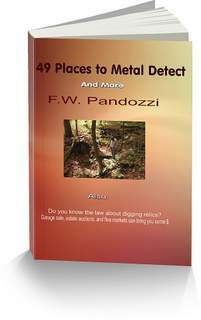 In addition, there are many articles on this page that explain metal detecting, and treasure hunting methods that have been used by myself, and others. With that being noted, I’d like to say that you must be aware of other so called experts who post articles on the Internet about metal detecting and or treasure hunters, and yet are just novices in the hobby. With the advent of the Internet it is very easy for anyone to copy an article that someone else has wrote, and place it on their own website or blog, and then call it their own. Others have used many of my articles without my permission. They simply delete my name, change a few words or paragraphs, and then call that story their own. BEWARE PLAGIARISTS. I have legally filed lawsuits against anyone who copies my articles anywhere on my website without my knowledge, or permission. My website is loaded with treasure stories and articles that I have wrote for your enjoyment, and knowledge. And be sure to bookmark this page. I will be adding more treasure stories in the future. You can click the links below to go to my metal detecting articles pages, or click on each title. Metal detecting articles - treasure hunting, treasure stories, buried treasures, metal detecting, and more. Three Reasons Why the Metal Detecting Hobby Is the Best Hobby. Find Old Coins in Old Homes; Three Secret Areas Where People Used to Hide Money. Treasure Hunting Can Bring You Cash. Here's Three Items To Search For. Try Relic Hunting in These Two Areas. Cache Hunting With A Metal Detector. US Coin Collecting With A Metal Detector. 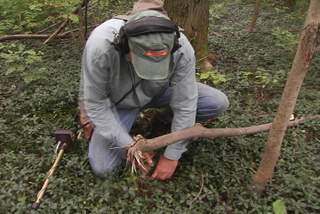 Should You Own A Cheap Metal Detector? Metal detecting articles can be viewed here also. You should know what the law says about digging on State or Federal lands. Share your treasure stories with others. We all like to see what others are finding.